McDowell County is home to Coalwood, War, Caretta, Welch and a host of other towns. 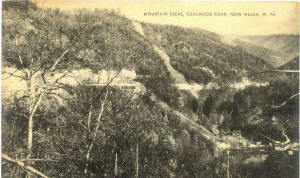 Highway Over Coalwood Mountain, Looking West, Near Welch, W. Va. 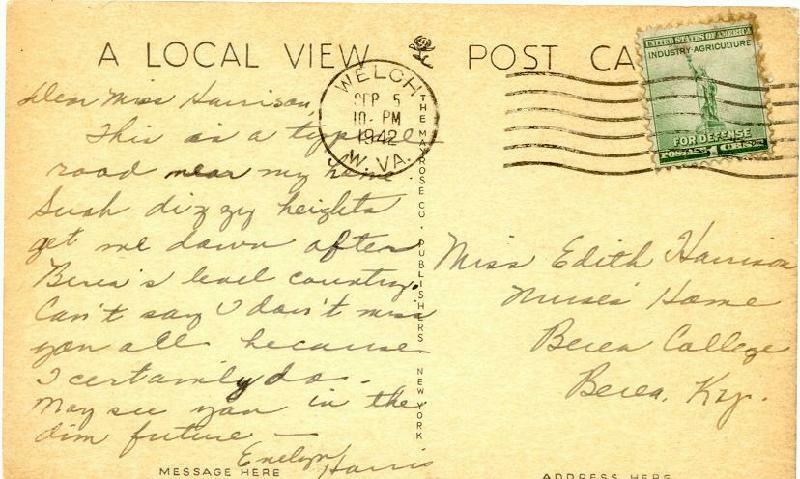 The postcard we have was mailed from Welch to Berea, Kentucky, on September 5, 1942. The writer starts out: "This is a typical road near my home. Such dizzy heights get me down after Berea's level country." 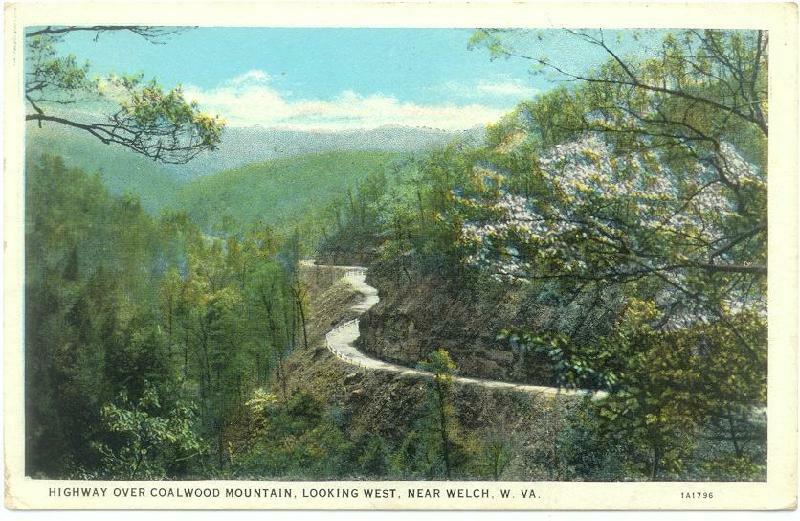 This site, maintained by David A. Grubb of Welch, has tons of pictures of McDowell County. It also has dozens of links to local web sites and lots of fascinating information about McDowell County past and present.